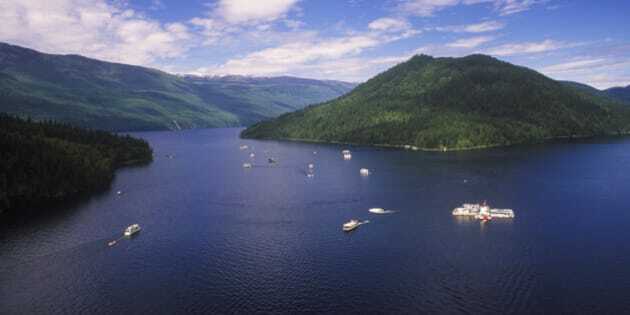 SICAMOUS, B.C. - A 25-year-old man from Calgary has been identified by Mounties as the victim of a presumed drowning on British Columbia's Shuswap Lake. The tragedy took place late Saturday afternoon, and the RCMP says it followed an attempt by occupants of a houseboat to retrieve a hat from the water. Police say Kevin Boutilier was one of several people who jumped into the water, but the weather and lake conditions deteriorated, causing the houseboat to drift away from the group. Boutilier got into distress, and police say he sunk below the water's surface, despite the efforts of his friends who were alongside and attempting to help him. Mounties say search-and-rescue officials and police have not been able to recover Boutilier, even though they were assisted by a helicopter. They say they are now considering further recovery efforts, but the lake is very deep and its bottom will pose challenges for sonar and divers.